Remember that scene in The Social Network when one of Mark Zuckerberg’s original partners found out that the shares that were once like 30% of FaceBook had suddenly become like 2% of FaceBook? How does that happen? In the movie, Zuckerberg is made to look like an opportunist who took advantage of his former partner. In many businesses, dilution of an ownership position happens by design and with purpose. 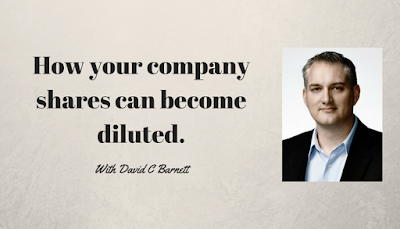 In fact, all the greatest companies you know have had shareholders dilute their positions over time to facilitate the incoming capital that they needed to grow. Join the legions of small business buyers who are learning what they need to know so they can avoid a bad deal. They’re taking my online course at www.BusinessBuyerAdvantage.com Some are learning how to get ahead of brokers with my Prepare to Buy a Business: The Next Step. Also on the same site.